The Doge's Palace in Venice built for the Doge, or supreme authority, of Venice, and is a perfect example of Venetian Gothic style. 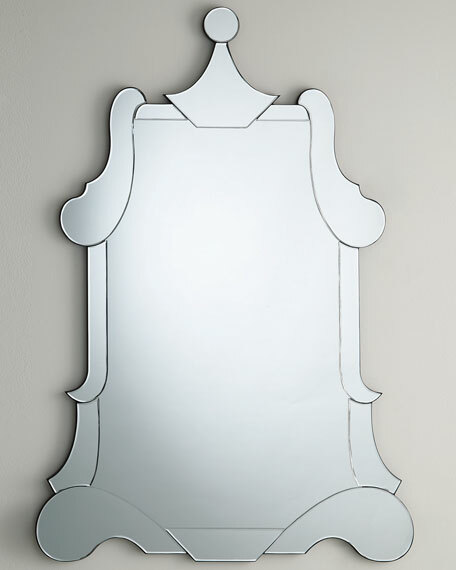 As a student of Italian art and architecture, Roger Thomas has spent much time in Venice and named this newly designed, Gothic-shaped mirror after the Doge's Palace. 35.5"W x .8"D x 52"T.
24" cleat hanging hardware included. Weight, 30 lbs. Boxed weight, approximately 110 lbs.